I’ve never paid attention to an entire season of baseball until this year, and boy has it felt long. Whether your favorite team has a winning or losing season doesn’t matter; these teams play night after long night. I found myself checking scores constantly, usually early in the morning since I could rarely stay up for the finish. There have been some spectacular moments. There have also been losing streaks, mistakes, slumps, fights, and ejections. The failures are always sprinkled in with the successes, the amazing with the mundane. Isn’t that how life goes? Isn’t that how church life goes (hopefully without the ejections)? Some extraordinary things are happening on Team Rainbow each and every day, and as a pastor I feel as though I get a front row seat all season long. Of course not everything is spectacular. We face challenges as a church community and as families and individuals. Some days we might not feel in sync with one another, or we might miss the mark. Or we might argue, question the call, and wish for an umpire review. The seasons drag on and on at times. Still, most of us continue to do our best to show up, stay focused, and offer our gifts and resources. Hopefully every now and again, we will glimpse the spectacular within the mundane. As the baseball season winds down, the church year begins. Actually, I like to think that the church is in spring training right now. Our official church year starts with the first Sunday of Advent (November 29). We are setting some program and financial goals for the new year ahead, getting to know some new players on the team, and figuring out who will serve where. And while Royals fans keep hoping for an October/November miracle, we will hope for some miracles of our own in December and beyond. And so with that, here’s an incomplete highlight reel from season 2015. Let’s go Rainbow (clap, clap, clappy, clap)! Remember: The little things/plays matter! 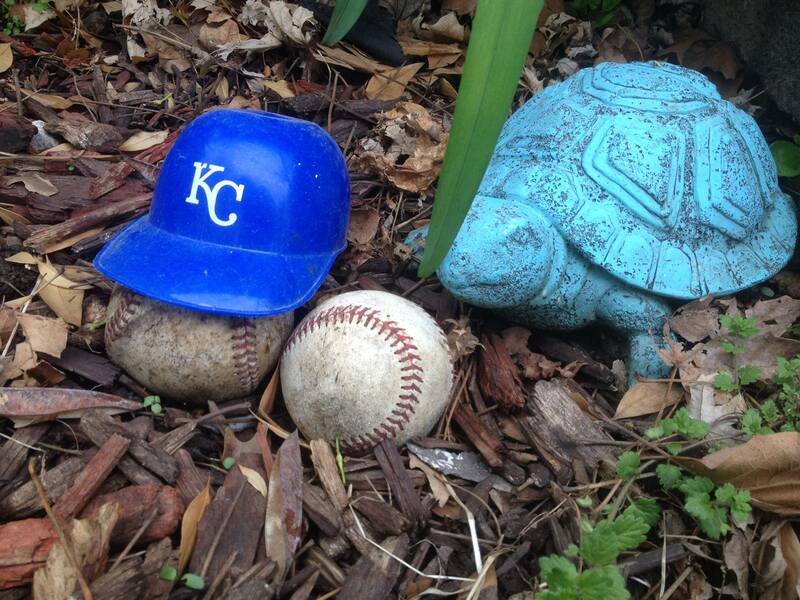 Only you, dear Ruthie, could write a baseball homily, and one that actually made sense.—dg Good use of the turtle.